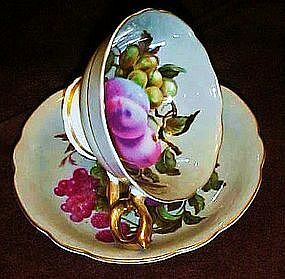 Nice hand painted china cup and saucer set. Grey background with large hand painted plums, strawberries grapes and leaves Lots of fancy gold trim. Both pieces are in excellent condition. Made by Royal Sealy Japan.